The Elementary program is for students from 6 to 12 years old and is organized into two three-year cycles: Lower Elementary for 6 to 9 year olds and Upper Elementary for 9 to 12 year olds. As in the Primary classes, students spend all three years in the same classroom, building community with one another and deepening relationships with teachers. Elementary-aged children continue to learn through the use of concrete materials as they move gradually toward increasingly abstract thinking. The Elementary lessons and materials are multi-sensory, dramatic, and impressionistic, serving to ignite the imagination and curiosity of the students. Our Lower Elementary program combines 1st, 2nd and 3rd grades in multi-age classrooms. This allows students to build social skills in a supportive, respectful environment and to stretch themselves academically—to their full potential. 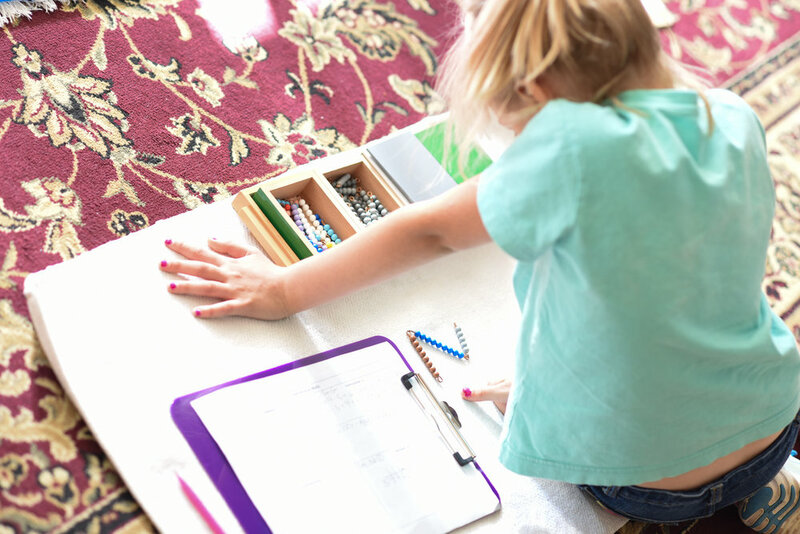 Hands-on math, science and language arts are the cornerstones of our comprehensive Montessori-based Lower Elementary curriculum. Our academic curriculum also aligns with Ohio state standards and frameworks—and goes above and beyond. Spanish language and integrated cultural studies, including history and geography, promote global awareness and 21st century skills. Free during-school classes include music and art.